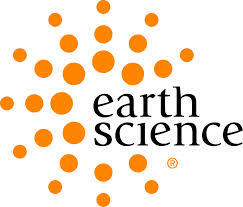 Earth Science came on my radar a couple of months ago when I gifted a bottle of their Olive Oil and Avocado Hair Masque by the lovely woman who straightens and cuts my hair. She is older and old school so I knew it was going to be a good product. But I was not prepared for how well my hair took to it. No residue, no harsh smell, nothing weighing my hair down. All around, all good. Like my skin and my taste buds, my hair is picky. 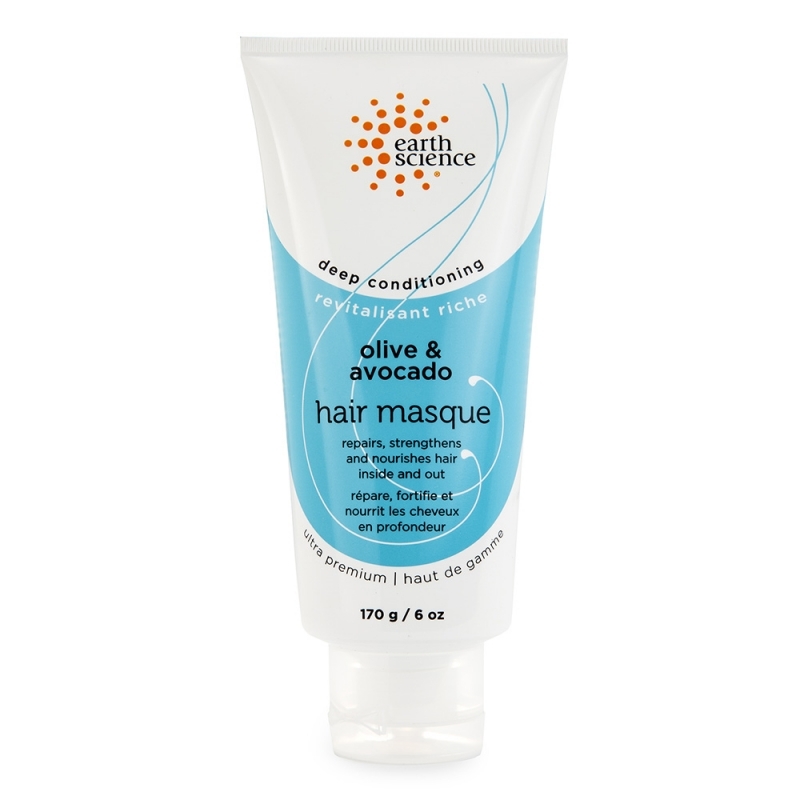 It happens to adore this hair masque and since it’s all natural, paraben free and not tested on animals, I have a feeling it is something I will be keeping around. For over 30 years this still family owned business has been churning out high quality, cruelty free beauty care. 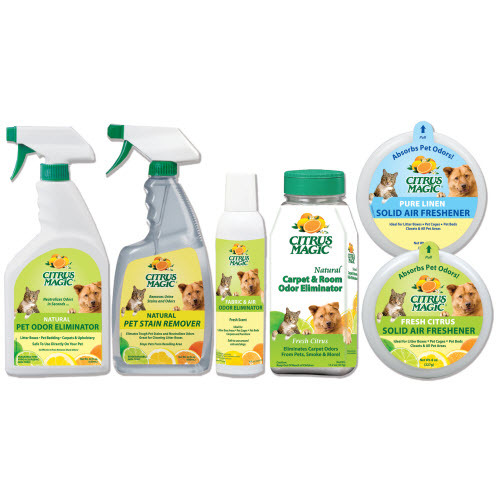 I can’t stay I have much experience with this brand outside of this specific product I am currently using but natural and cruelty free are good enough reasons for me to share their 4-1-1 with you all. So Does Coconut Oil REALLY Stop Grey Hair…. 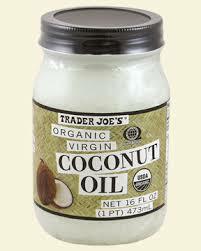 There is so much myth, magic and truth about coconut oil on the web and in the press these days. Some of the ‘miraculous’ claims seem too good to be true and I am sure most are. Or are they not? Last year, almost exactly 1 year ago I decided to start using coconut oil on my hair every night as a leave in conditioner. Prior to this my hair was a brittle, breaking mess due to high mineral content in my new town’s water and not enough conditioning. I also knew that I had 3 grey hairs, maybe 2. I do not dye my hair and at age 34 I know that (in the words of Robert Nesta Marley) ‘one day ‘da bottom gon drop out’ so I was curious to see if I could stop that number of greys right where it stood. Now a days, my hair does not break and I have not seen a split end in a year. My hair grows 2x as fast as it did without coconut oil. My hair is growing almost 1 inch a month, no joke, I just measured my regrowth and I had 2.75 inches in 3 months. My hair also feels really clean, even when it’s dirty it still feels cleaner over all, as does my scalp. My hair never feels dry, is way less frizzy and it’s easy to manage. And I can now safely say that yes, I have 2 grey hairs. No, they did not go away but I can say for 100% positive, I did not get anymore grey hairs in the past year (I will be 35 in June) and I am giving those props to a veg diet and coconut oil on the hair/scalp every night. I simply keep a jar of coconut oil next to my bathroom sink and scoop out 2 teaspoons, mush it in my hands, glob it in my hair, massage scalp for a hot minute then comb through with wide tooth comb. Sleep on it and then wash hair 2x in the morning to get rid of the oil residue. Then I keep it moving. This was simply my experience over the past year. Redmond Clay is kind of a crazy thing. An O.G. thing to be exact. Full of trace minerals, Redmond Clay can be digested as a nutritional supplement or it can be used as a facial mask or even used to cure rashes and bug bits. I am personally OBSESSED with Redmond Clay. No I do not eat it but I have used it to cure a rash that nothing else could manage to make better. I have used it on bug bites. And at this current moment, I am using it as a facial mask. Just 10 minutes and you have clear, glowing skin. It comes in powder form so to turn it into a facial mask or a paste just add water. I make a bunch at once then store it in a Ziplock bag in the fridge. Just taking it out when it I want to use some. I find it is easy to spread on the skin when it is cold and premixed. 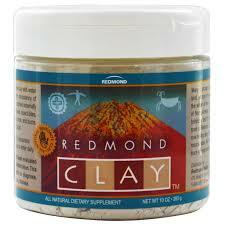 Learn all about Redmond Clay and it’s million uses below. Categories Cruelty Free Bath and Body., Nutrition. Since St Ives is no longer my partner in skin care crime, I have had to branch out and find new products to replace my former stash. So far, so good. I have actually found replacements to most of my former products but my favorite new line has to be EO Products. This line of skin care products is all natural, cruelty-free and the company is family owned. 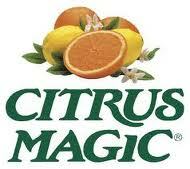 Their line of products ranges from shampoos and conditioner to soaps and body lotions. All EO products are made from the finest herbs and oils that are distilled right from the fresh flower, leaves, seed or bark of the plant. Nothing they use had ever been modified from the way Mother Nature intended, nothing synthetic is ever added. EO Products are made in the USA, based in Marin County, California they operate out of a ‘Certified Organic’ facility that employes over 30 people. 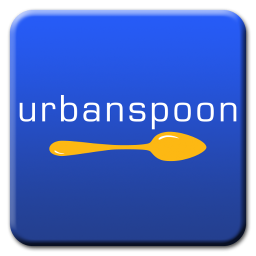 They make over 100 different products for you to choose from and they can be found all over the web and in many stores. I know Harmon carries tons of times from EO’s lines, that is where I have been stocking up. 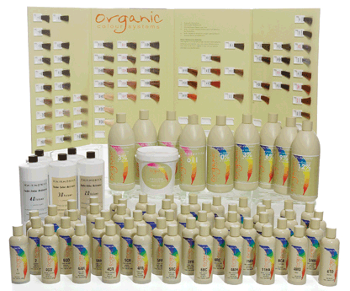 Organic Color Systems offers a full line of hair care for salon professionals to use on their clients. From color to curls, Organic Color Systems has your hair taken care of. Free of ammonia and other harsh chemicals, Organic Color Systems turns to nature to bring out the best in your hair. Besides being free of chemicals, Organic Color Systems are also vegan, cruelty-free, Eco-Friendly, certified organic and they are also a member of the soil association for organic standards. Pretty much, every base is covered with this company, they leave you nothing to worry about when it comes to hair care. The company is very serious about their policies and what they stand for. Their website is super informative and offers up the locations of salons who they supply, that way you can find a natural, cruelty-free, Eco-friendly salon near you. http://www.organiccolorsystems.com/ Organic Color Systems Homepage. A La Maison De Provence Soaps. These soaps are top notch. Big, lathery and awesome smelling. Add to that all natural and cruelty-free. A La Maison De Provence Soaps are the creme de le creme. An old school recipe that has stood the test of time, truly sets them apart from the pack. I am currently using the ‘Honey Crisp Apple’… amazing. Available at many fine health food stores through out New York, Puerto Rico and most of the East Coast, A La Maison is also carried by Whole Foods through out the East Coast and as well as the Rocky Mountain area. http://www.alamaisonsoaps.com/ A La Maison De Provence Homepage.